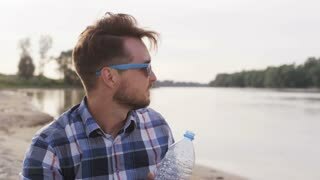 Positive handsome thirsty man in his 20s drinking water from the bottle. 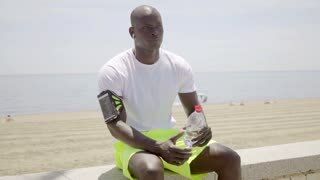 Drinking water. 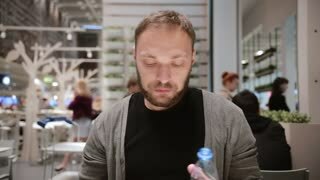 Handsome man with a beard opening a bottle of water sitting in a public place. Man is thirsty. 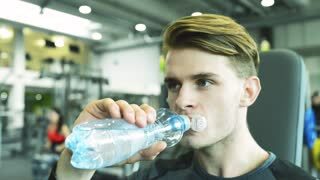 Man in gym resting in between exercises, drinking water.